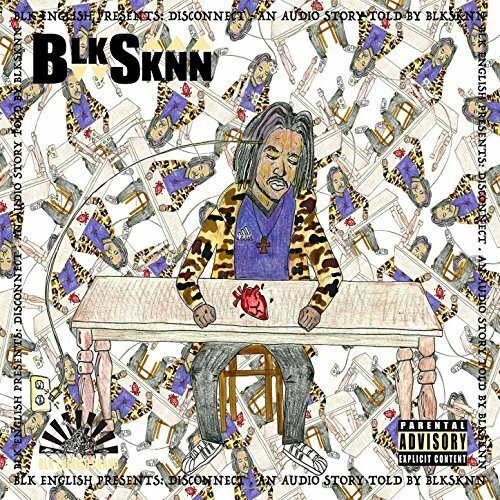 The poet, songwriter and producer of hip hop music known as BlkSknn has released his latest EP album, “Disconnect.” The album contains seven original tracks for an approximate total listening time of 20 minutes. The “Disconnect” EP by BlkSknn has been described as “an audio story told by BlkSknn,” and is presented by Blk English, who describe themselves as “a collective of independent artists of all avenues with similar progressive mindsets.” Inventive, poetic, and packed with social commentary, “Disconnect” from BlkSknn has something for every hip hop fan in 2018 and beyond. BlkSknn cites as main artistic influences a Tribe Called Quest, Nas, Musiq Soulchild, Andre 3000, Bob Marley, Curren$y, and the American graffiti artist, Jean-Michel Basquiat. This last entry in his list of favorite creative persons may seem out-of-place, but it makes perfect sense when BlkSknn describes his aims for “Disconnect” and other music. Basquiat painted separations: rich and poor, inner and outer, integration and segregation. Like Basquiat, BlkSknn is deeply interested in human connections – and “Disconnect”-tions. The “Disconnect” EP album from BlkSknn is available online worldwide from over 600 quality digital music stores now.